Have you been good this year? We’ll let the Krampus decide! 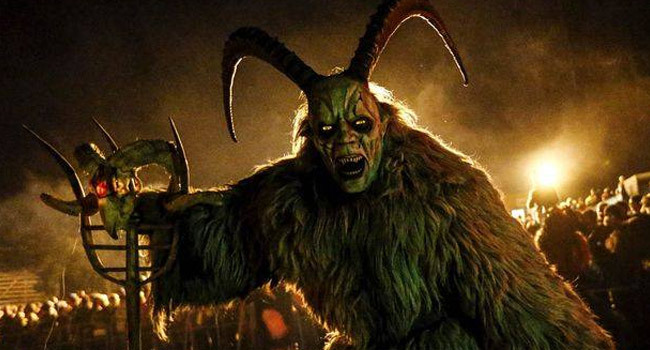 The Milwaukee Paranormal Conference presents the first ever Milwaukee Krampusnacht, featuring a Krampus parade, creepy cool craft vendors, music, as well as food and drink being sold by Lakefront Brewery. It’s a free event! The parade starts at 7pm with Saint Nikolaus herding a pack of wild Krampusse (that’s the correct plural Krampus) including members of Milwaukee Krampus, Chicago Krampus, and a crew from Screamin Acres, among others! Angels will be handing out candy, you’ll meet some other Christmas folklore entities, and music will be provided by the Ugly Sweater Orchestra. Exact route to be posted soon. If you’d like to participant, you can find info here. Afterwards, enjoy live music from Sweet Shieks and The Squeezettes while browsing the vendor tables, getting your photo taken with Krampus and Saint Nikolaus in the photo booth, share a fun, creepy, and/or weird gift in the White Elephant Gift Exchange, and more.